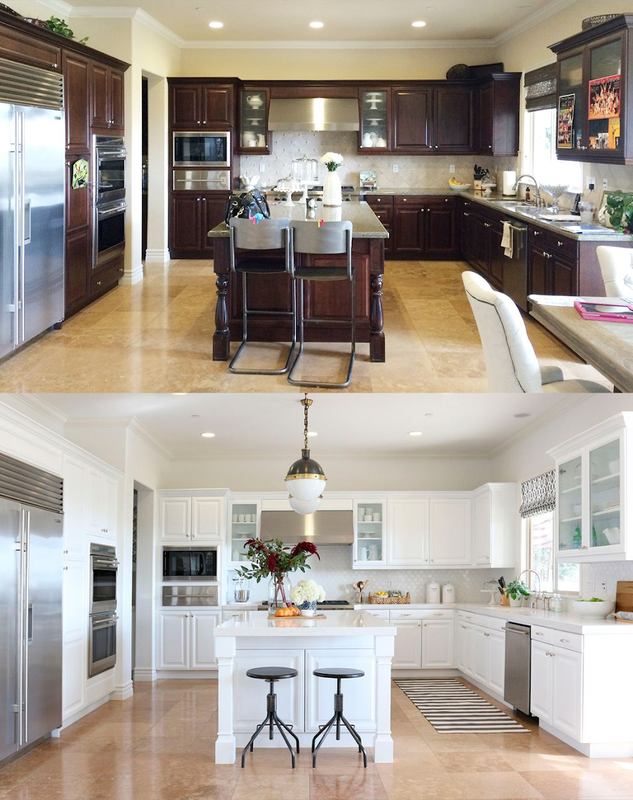 Kitchen renovation projects can change the look of your entire home, but they can also break the bank. So, if you are looking for ways to breathe new life into your kitchen, for an affordable price, there are plenty of options available to get the most bang for your buck. Replacing your kitchen cabinets can be expensive. If your kitchen cabinets are outdated, it is most likely because of the wood tone and fixtures, all of which can be easily fixed with a coat of white paint and updated hardware. While there is some prep involved in painting stained cabinets, it is doable and something you can tackle yourself. Just take your time cleaning and priming them first. While it may seem that white kitchen cabinets are all the rage right now, it’s for a reason: they are a classic timeless look that shouldn’t go out of style anytime soon. Adding a backsplash to your kitchen is an instant style upgrade, but it can be costly, especially if you have to hire someone to install the tile. Rather than using ceramic or porcelain tile, consider how beautiful a brick tile backsplash will look in your kitchen. 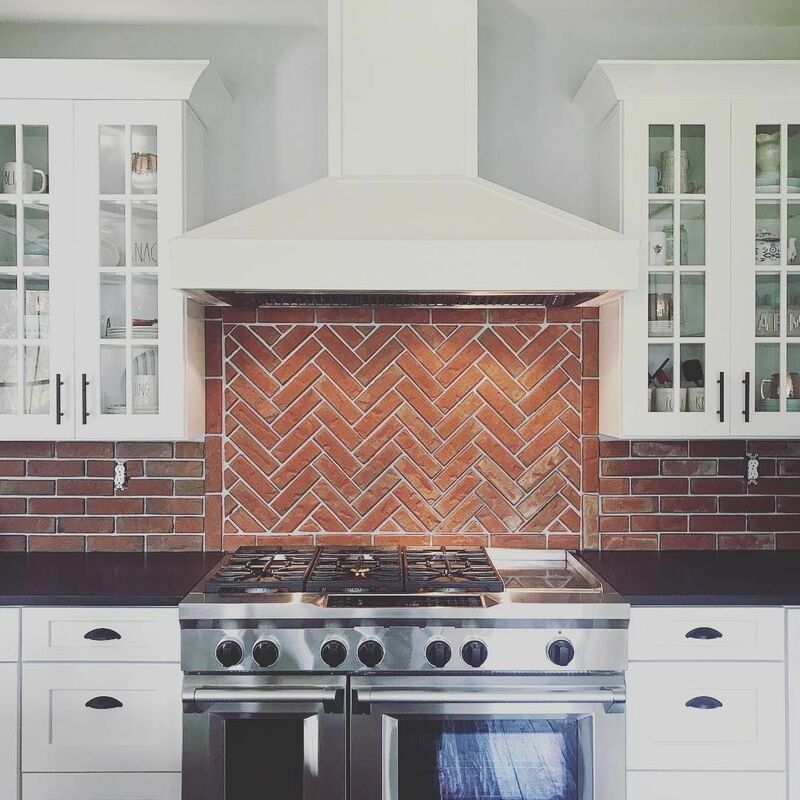 A brick kitchen backsplash has a sophisticated look that has never been easier to DIY, thanks to thin brick systems. Thin bricks are made out of real brick, but are thinner, lighter, and less expensive than traditional brick, but with all of the variegated colors and textures you love about brick. For a gorgeous accent to your brick backsplash, a stone countertop is the way to go. But we all know that granite and solid-surface counters can be pricey. If yours is a small project or you are open to having different colors for your counters and island, consider shopping in the remnant section of the granite supply yard. You can find amazing deals on exquisite pieces of stone. Small details can add up to a big impact, when done correctly. Look for opportunities to add visual interests in small places. If you aren’t able to take on adding brick backsplash to the entire length of your countertops, perhaps choose to create a gorgeous focal point out of the area behind your stove. 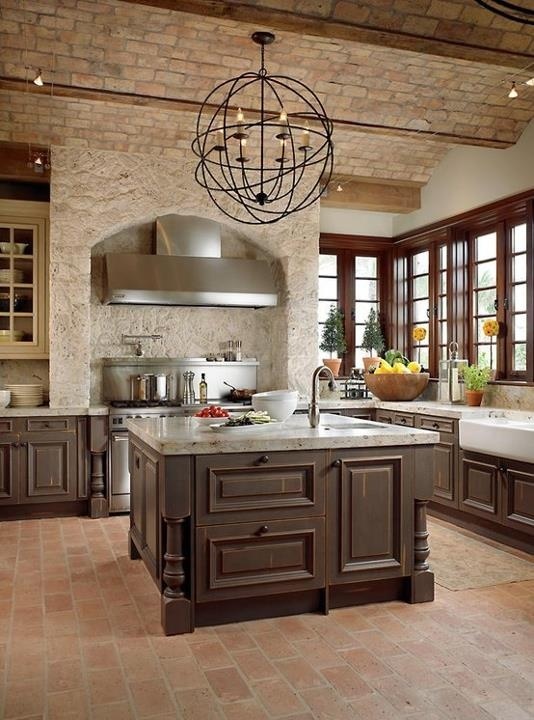 Adding a wall of warm brick can also dress up a kitchen island that has seen better days. It is faster, easier, and less expensive than replacing cabinets and will give your kitchen a unique look that is yours and yours alone. A kitchen renovation doesn’t have to be a financial burden. With a little creativity and DIY knowledge, there are plenty of affordable ways you can completely change the look of your kitchen. For more ideas on how to update your kitchen using Old Mill Brick thin brick systems, visit us online to order samples, and find us in a store near you.